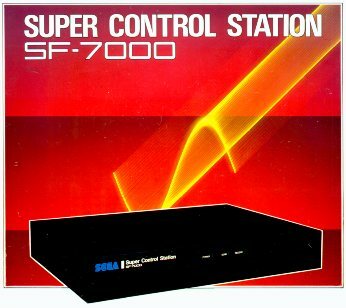 Supercontrol Station SF-7000, containing a 3 1/2-inch compact floppy disk drive, 64K byte RAM, RS-232C terminal, and parallel printer terminal (applicable to Centronics), can be used as a high-performance peripheral device of SC-3000. The SF-7000 documentation starts with those so well written words. Go figure why people didn't understand. Oh, by the way, the system contains a 3" floppy disk drive, not a 3.5" one :-). Download for members: sf7000.zip (166 kb). Also see: Sega Logo for SF-7000.